Announcement Welcome to Crooked Teeth Keys! 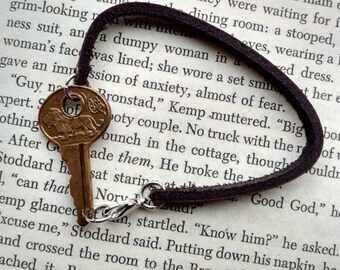 Every key has its own history and story, now you have the chance to give them new life! You can wear and show off a piece of history. Crooked Teeth Keys was started was started on the idea of giving history new life. It's amazing being able to share my years passion for collecting and keeping the history of keys alive, now being able to share it with people from all around the world. Feel free to ask any questions about any item. Follow and Like "CrookedTeethKeys" on Facebook and Instagram for updates and a ton of keys I don't get to list in the shop! Welcome to Crooked Teeth Keys! Looks great. A little smaller than I imagined but, looks awesome nonetheless. 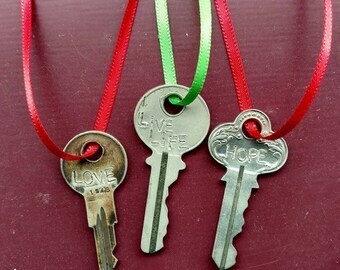 I absolutely love these key necklaces! This is my second one. This time I had "wisdom" inscribed on it. Perfect! 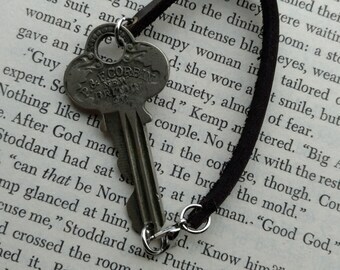 Since I was young I have collected skeleton keys and was always fascinated about keys. They all have their own stories, history behind them between where they have been and what they were used for. They all have a bit of mystery behind ever worn and bent part of them that they received over the years. I finally felt the need to share this with everyone in a way that people can show off! I am always on the hunt for the next unique keys to make into new pieces which show off the keys history, giving their history new life. Every key is hand picked to make the key selection the best it can be and to give keys that deserve to be shown instead of collecting dust another chance at life. My name is Cole, I have always had a passion for collecting keys, bones, old things, and oddities. I am currently going to college and I am also a musician as well! Welcome to Crooked Teeth Keys! 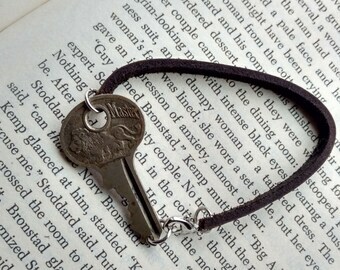 Here you can buy a key filled with mystery and history that you can wear! Every key is original and none are reproductions. If you have any concerns or questions you can always message me and I would be happy to help. Time to give these antique keys meaning and life again! Customer satisfaction is very important to me, I want all my customers to be happy with their purchases. I make an effort to make sure all of our products are represented accurately in our store, if you have any questions please contact me. If you are not satisfied with your purchase please send a conversation within 7 days of receiving your delivery, so that we can work out a solution. Should you need to return your item due to a buyer error there will be a 10% restocking fee (not including shipping charges, which will not be refunded). Payment should be made at time of purchase. All orders are shipped within 1-3 business days upon completion of payment.